Hello guildies! 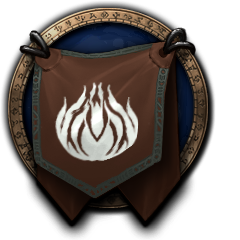 As the Prelude tradition, this summer we are going to visit some old instances for fun & rewards & achievements. We’ll keep to go lfr on friday nights with MusicBOT but you can suggest any*** other activity in the forum or in game. So what has Prelude been up to since the official raiding season ended? We continued our tradition of doing (drunken) Friday Flex Fun Runs and were joined by some lovely people from the awesome guild Ad Infinitum. As mentioned in an earlier post we also did a few achievement runs in Dragon Soul, Firelands, Blackwing Descent, Heart of Fear and Throne of Thunder so people could finally get some shiny new mounts! Big gratz also to Fleur for winning this contest despite having Wally in the screenshot!! Some of us (including my little dwarf self) decided to immerse ourselves in the unknown land of PvP. I have to admit that although most of the time it is very frustrating it is also a great challenge! We followed some great advice from experts like Auchter, Immitis, Pharax, and Raikage, got fully geared and eventually gave arenas a go as well. Our efforts were payed off (thanks to Skaw as well!) by these amazing mounts: Reins of the Vicious War Steed / Reins of the Vicious Warsaber and the Tabard of Brute Force. Oh and on a side note: Blizzard forced me to name change after they found out my name meant something rude in Spanish slang.(?!?!?!) I am not bitter at all about this, noooooo not one bit. Now it’s time to get ready for WoD… shouldn’t be too long before patch 6.0 hits us! What did you get up to this summer?